Catch New Pokémon From the Alola Region! Embark on a new adventure as a Pokémon™ Trainer and catch, battle, and trade all-new Pokémon on the tropical islands of the Alola Region. Discover the Z-Moves and unleash these intense attacks in battle. Call upon Pokémon with Poké Ride to discover new areas across the region and take on the Island Challenge Trials to become the Pokémon Champion! Choose one of three new partner Pokémon that will accompany you as you set out on an all-new adventure and discover new Pokémon and regional variant Pokémon in the Alola region. Catch and train Pokémon as you encounter captains, and kahunas of the 4 main Islands of the region. 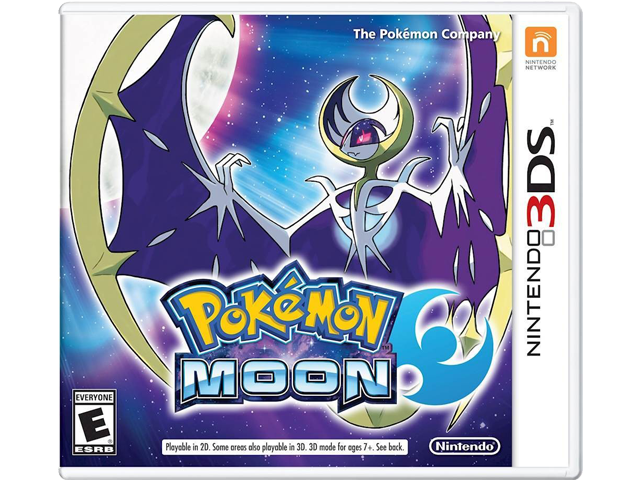 Discover the mystery of the Legendary Pokémon while stopping Team Skull from causing chaos throughout the land.